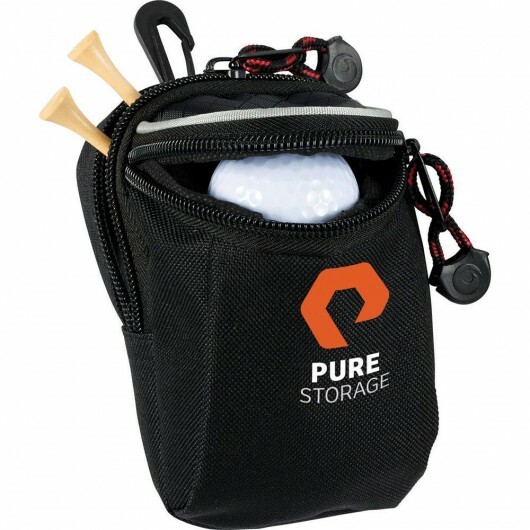 A golf tool pouch that features a print of your logo or branding message. 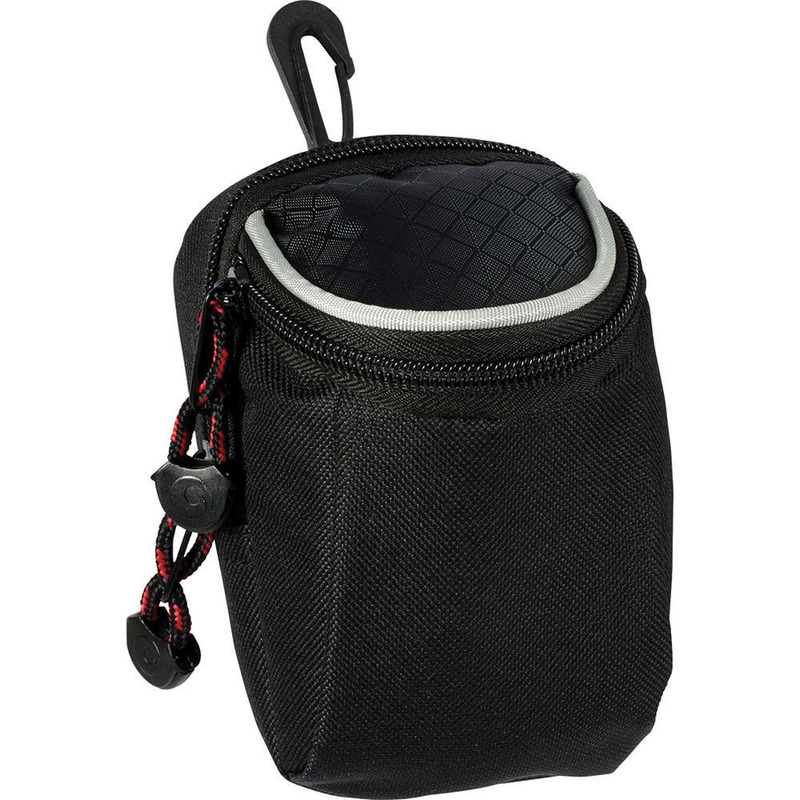 With a large zippered main compartment and prime real estate to showcase a print of your logo these pouches are an effective gift idea. 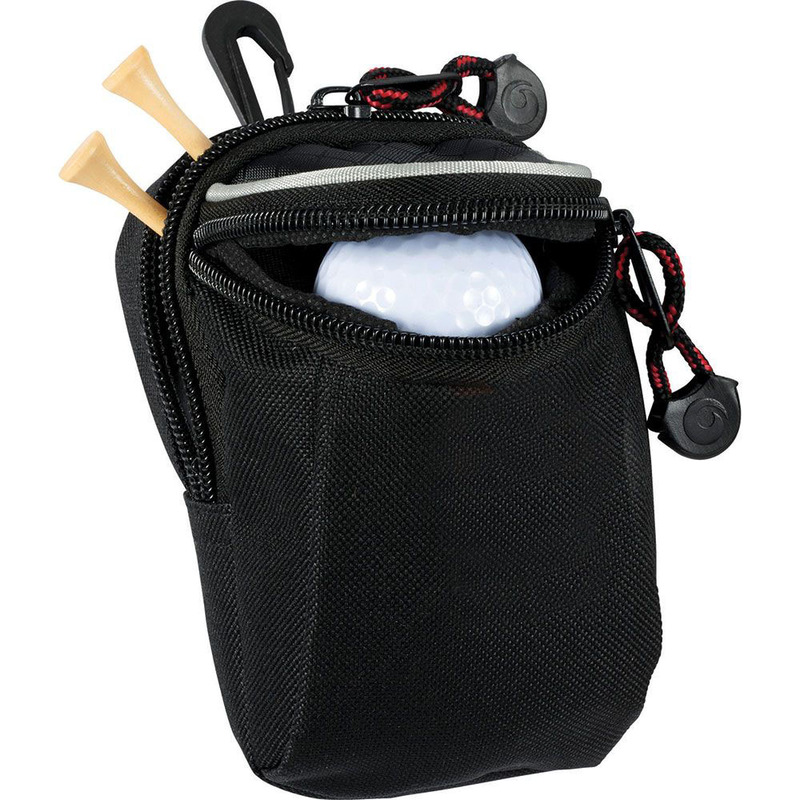 The quick clasp attaches to a standard golf bag D-ring. Does not include other accessories.